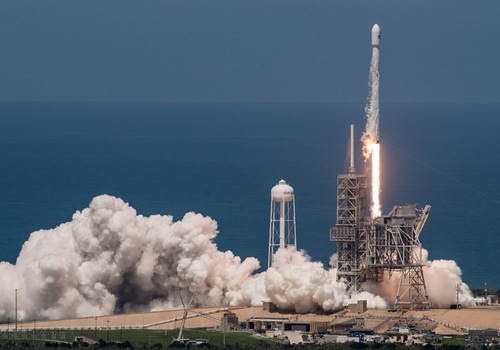 Tinuku ~ SpaceX successfully launched BulgariaSat-1 satellite from the 39A Launch Complex at Kennedy Space Center on Friday and made a landing on a drone ship in the ocean. The Falcon 9 rocket successfully launched Bulgaria's communications satellite and marked the second time Space Exploration Technologies Corp. re-used the first stage rocket recycling. The Falcon 9 rocket carrying BulgariaSat-1 took off and the spacecraft separated from the second stage about 35 minutes later. The rocket then made a landing on a drone ship in the Atlantic Ocean to be used again in a further mission at a cheaper cost. "Extra fuel rockets and pressing the deck hard, but good," SpaceX CEO Elon Musk said. This launch marks the second time SpaceX has been doing a refleway in the first phase of Falcon 9. 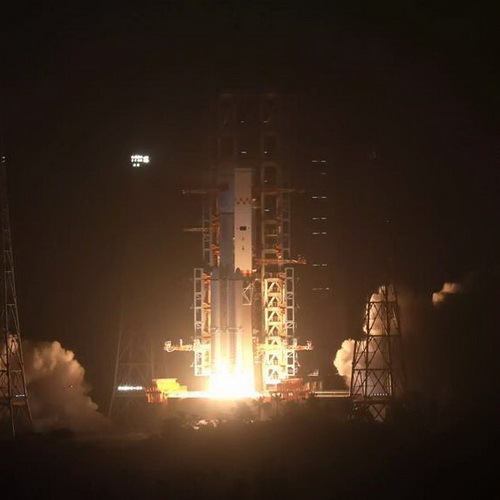 The previous attempt was made at the launch of the SES-10 satellite in March. BulgariaSat-1 was built in September 2014 weighing 4000 kg with a total of 32 Ku-band transponders and a life span of 15 years. SpaceX has accelerated its portfolio with more launch missions in 2017 than in 2016. The company has launched the Falcon 9 rocket for the eighth time this year. The next launch is scheduled two days later and finally 20 to 24 launches are targeted for this year. More successful launches will feature portfolios as a driving force in the space market competition. Musk also wanted to show that the recycled rocket concept is worth doing. Rockets that return to Earth will be renewed and used again to lower launch costs. "It's starting to feel a bit normal to reuse rockets, so for a car and an airplane and how it should be for a rocket, Falcon 9 will be the new power ever in today's launch," Musk said. Following BulgariaSat-1 mission, the next launch list was 25 satellites for Iridium Communications Inc. at Vandenberg Air Force Base on California's central coast on June 25 called a weekend doubleheader launch as the first time the company launched two of the same rockets in a week, despite taking off From different beaches. In addition to its commercial customers, SpaceX has a contract US$1.6 billion with NASA to supply the International Space Station logistics and a second US$2.6 billion second pact to transport crew to an orbiting laboratory.